Sergey Lipinets may get another title shot. 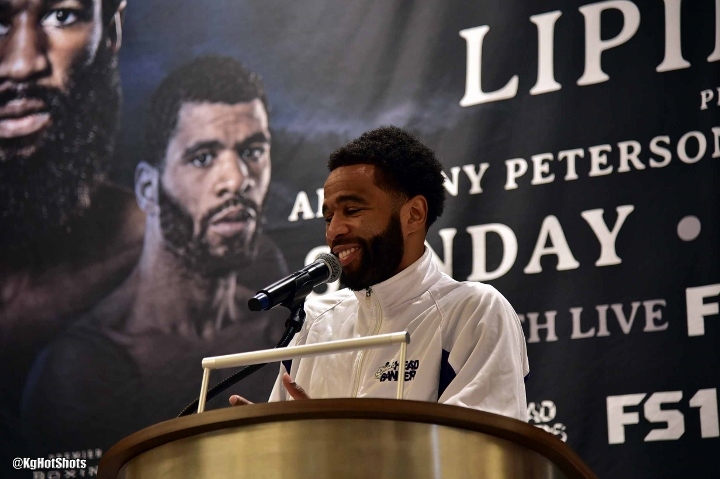 Lamont Peterson is done. After being dominated in January 2018 by Errol Spence in a contest for the vacant IBF welterweight title, Peterson appeared to consider retirement then. I was always a fan of Lamont. Great technician and always good to watch. [QUOTE=Kcvtr81;19614222]He was on steroids when he beat khan, the guys a dirty cheat[/QUOTE] I agree. He also got saved by the referee in that fight also.